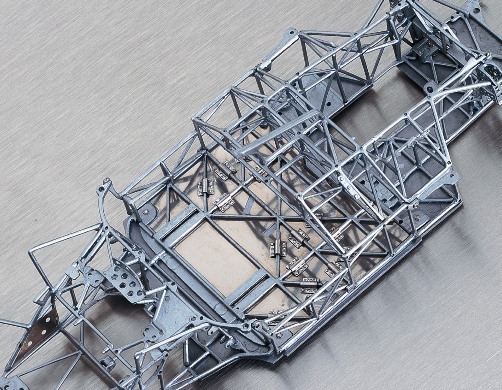 The 1960 Maserati Tipo "Birdcage" diecast model in 1:18 scale. White with blue stripes. This diecast model is manufactured in 1:18 scale by CMC. A charmingly graceful body designed by the mastermind Giulio Alfieri, who integrated a light frame of barely 30 kg with more than 200 single pieces of tube. 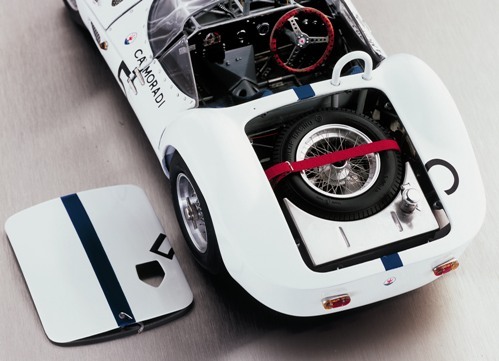 Because of this engineering innovation, the Maserati Tipo 60/61 acquired the legendary nickname Birdcage. Only 23 units were made during the years from 1959 through 1961. 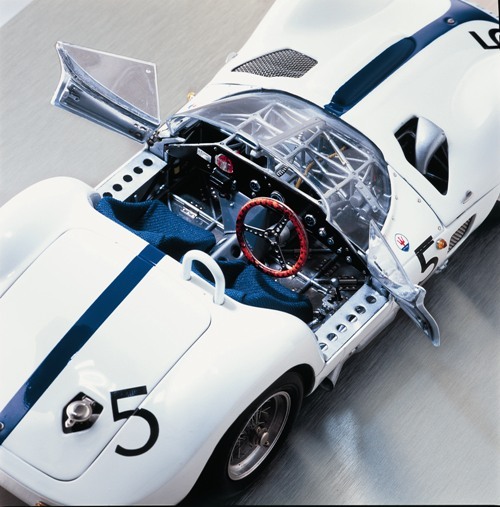 The American Lucky Casner was one of the most successful owners of the Birdcage Tipo 61. 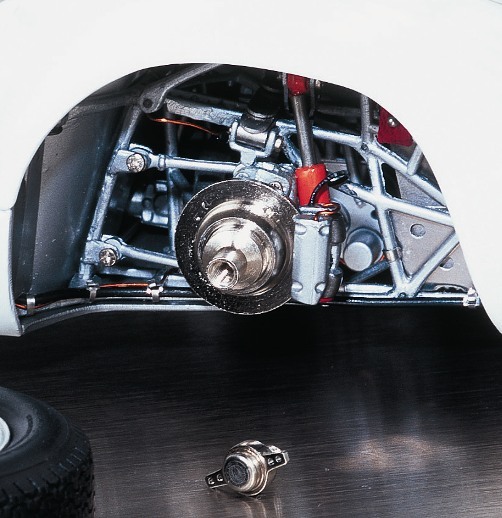 In May 1960, Stirling Moss and Dan Gurney won the 1,000-km race of Nnrburg-ring. With the starting number 5, they accomplished an outstanding victory in the pouring rain against keen competition. Only one year later the Camoradi Team (Casner Motor Racing Division) repeated the winning record with Casner and Gregory as the drivers. 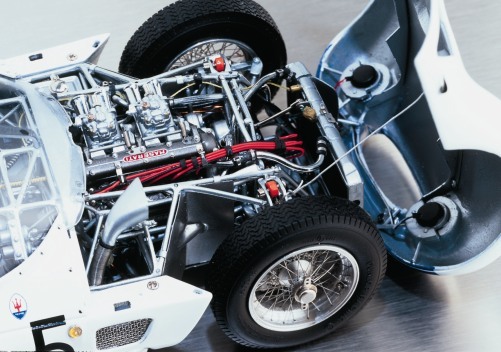 These consecutive victories added new glory to Maserati and sustained its everlasting top position in the illustrious circle of racing car manufacturers. Our model is composed of 1,140 single parts, 507 of which are made of stainless steel, copper, and brass. 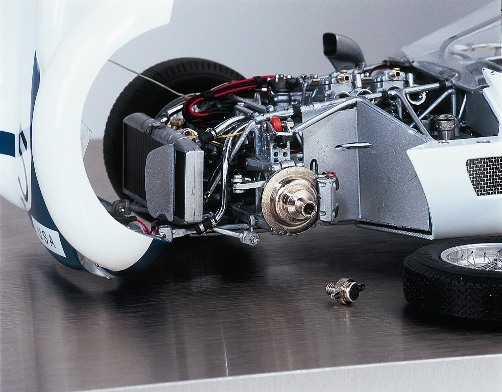 This model is an exact replica of the winning car of Moss/ Gurney. 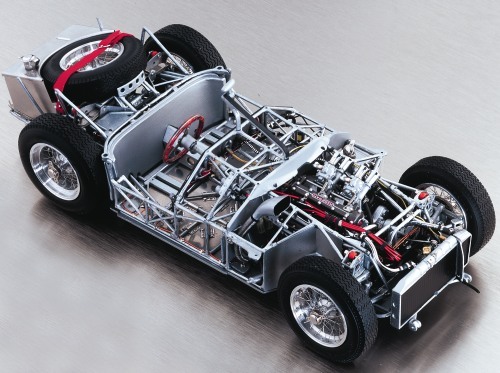 What is extraordinary about its build is the adherence of its body to a cage-like framework as if it were a second skin. While looking at the exact details of this model, you are likely to feel transportedback to the adventurous experience of racing in old times.